This is probably the largest neighbourhood in West Vancouver as it refers to a good portion of the waterfront area, excluding Dundarave, a small one block section distinctly clinging to its own identity. It stretches from about 11th Street to 21st Street east and west, and from Highway 1 at the north to the beaches of the Burrard Inlet at its south. One of the major commercial centres is the Park Royal Mall. Its main claim to fame, apart from the many retail outlets it offers, is that it was the first shopping mall in Canada and opened for business in 1950. At that time, it was an open air strip mall. It was enclosed several years later. The waterfront features prominently in the lifestyles of Ambleside residents attracting locals and tourists the year round. The other main area is Marine Drive itself where many commercial enterprises have their shops. Commercial businesses provide services to the residents of West Vancouver and do a thriving trade. However, in keeping with the Town Planning Act of 1926, there is no manufacturing or heavy industry in Ambleside, or anywhere in West Vancouver. Streets are named alphabetically as they progress up the hillside and the streets are tree-lined around detached single family homes. Very few condominiums exist in West Vancouver, but there are a few developments starting up. Times are changing. Looking for the best Ambleside properties for sale in West Vancouver? 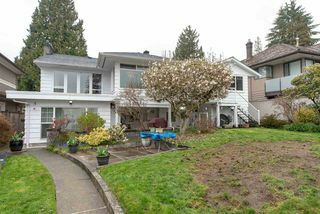 Browse all the MLS® property listings currently for sale in Ambleside. Choose a tab below search Ambleside houses for sale, Ambleside condos for sale, Ambleside towhomes for sale, or Ambleside open house listings for this weekend. 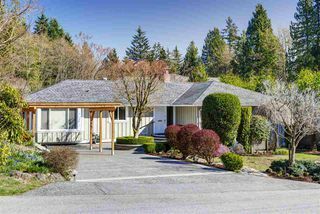 Click on a listing for additional property details or contact us if you are interested in viewing a property or listing your home for sale in West Vancouver. The Ambleside area is serviced by the West Vancouver School District #45 and features some of the best elementary and secondary schools to choose from. For more Ambleside school information, you can also visit the West Vancouver School District website and additional resources provided below. We specialize in Ambleside best real estate in West Vancouver and feel passionate about not only living here with all this natural beauty at our doorstep but fortunate and privileged to buy and sell real estate on Vancouver's North Shore. We really look forward to hearing from you and helping you find your perfect home! How's Ambleside real estate? Find out with Market Snapshot. Access live MLS activity, price trends, listing-to-sales ratios, new listings, and housing stats exclusively for the Ambleside neighbourhood in West Vancouver!